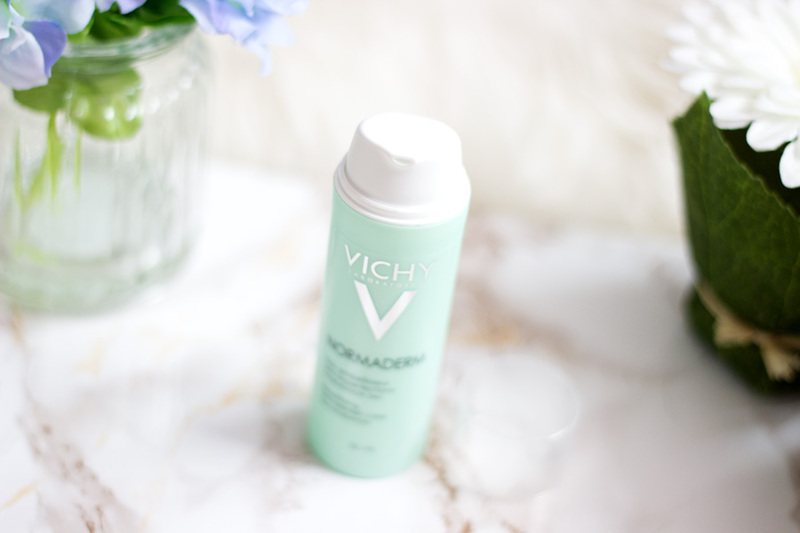 I won’t dwell too much on the packaging but Vichy always seem to tick the right boxes when it comes to packaging. I love how they utilise various colours for their different ranges. I find this so useful because you can see at a glance what range it is even before you read the finer details. Light Blue is for the Aqualia range, Pink is for Idealia , Green is for the Normaderm range, etc. The Normaderm Anti Blemish Care comes in a 50 ml plastic bottle with a nice pump that dispenses the right amount for one application. It’s very light and it's so easy to pop it in my bag for travelling. The lid is very secure and does not move around in my bag as I travel. 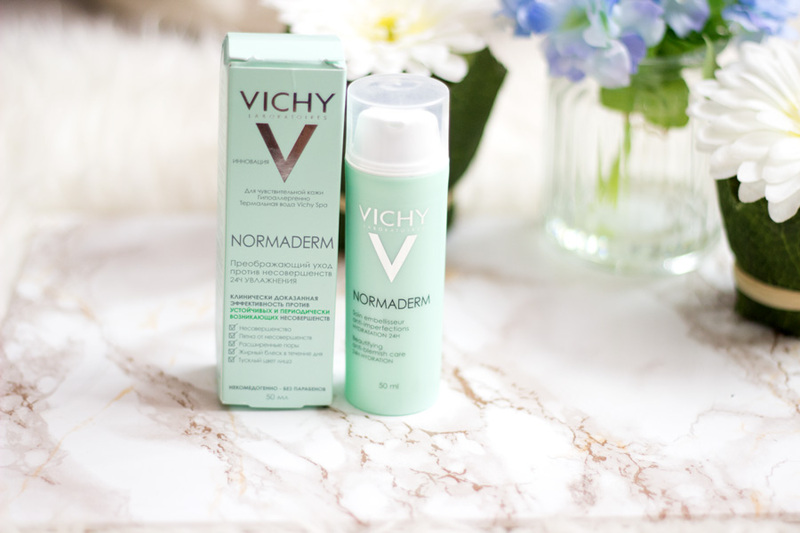 How does Vichy describe the Normaderm Anti-Blemish Care? PheResorcinol - Anti-bacterial that exfoliates and evens skin tone including UV induced pigmentation. 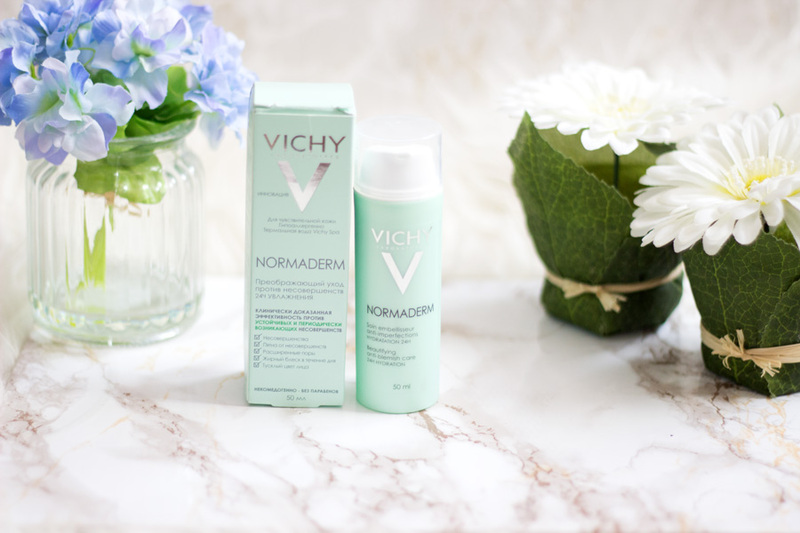 The Normaderm Anti-Blemish Care is designed to tackle the needs of adult skin whle treating hormonal blemishes and providing 24 hour hydration. I was very impressed with these claims and I wanted to know if it worked. I do suffer from the occasional soul destroying under-the-skin bumps (especially during periods) and they drive me mad. So, I was very excited to give this a try to see how it fared. I was surprised to see that it had a faint green colour which I quite like as it is different from anything I have tried. It feels like a light moisturiser once it is applied on the skin. I find it really easy to apply and it gets absorbed well. It settles into a demi-matte finish (like a velvet finish). I am a huge fan of anything demi matte because I know it would work as a primer and base for my foundation. I know people with dry skin may not like the idea of anything matte or demi matte but honestly, it would still work well with dry skin. 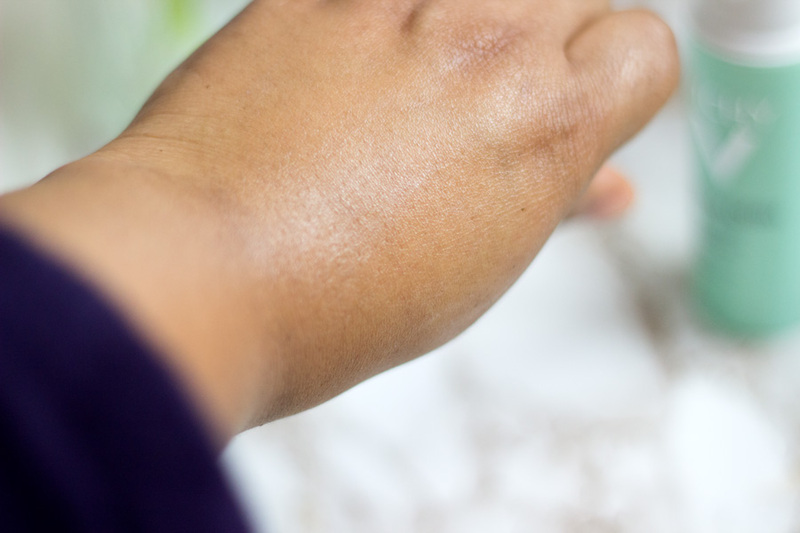 It does not cling to dry patches or accentuate them as it has a hydrating effect. It's quite hard to explain how it keeps my face demi-matte but still provides the needed moisture. It can be used both in the day and at night. However, I reached for it more during the day because I enjoyed its canvas and primer properties which helps prep my skin for my foundation. When I use it in the morning, I apply it after my regular moisturiser (Eye cream->Serum-> Moisturiser-> Normaderm Anti-Blemish Care -> Sunscreen). At night, I do the same but skip the Sunscreen. I am sure there are other ways to use it but this way works best for my skin. I usually breakout around my cheeks and jaw when Mother Nature comes knocking on my doors. Some months, I am super lucky to escape her ominous knock but many months, I am not. I started using the Normaderm Anti-Blemish Care immediately I received it to see if it would stop any breakouts in its tracks. It feels really soothing on application which is perfect for when my skin is up to no good. I used it for a few days before the period appeared and I got very little breakouts. I had a few on my cheeks but none on my jaw which is quite impressive. I am pretty sure I would not have broken out at all if I had started earlier which was why I wanted to use it consistently for another cycle. This time around I had been using it for a longer period and I noticed that my skin seemed so much clearer than before. The odd breakout that happens when I eat something dodgy (like cheese and milk) did not happen and I was very impressed. When the period appeared, I had clear skin. I did not break out at all and then towards the end, I had an annoying one on my cheek. I think it was definitely my PMS cravings that caused that particular spot. 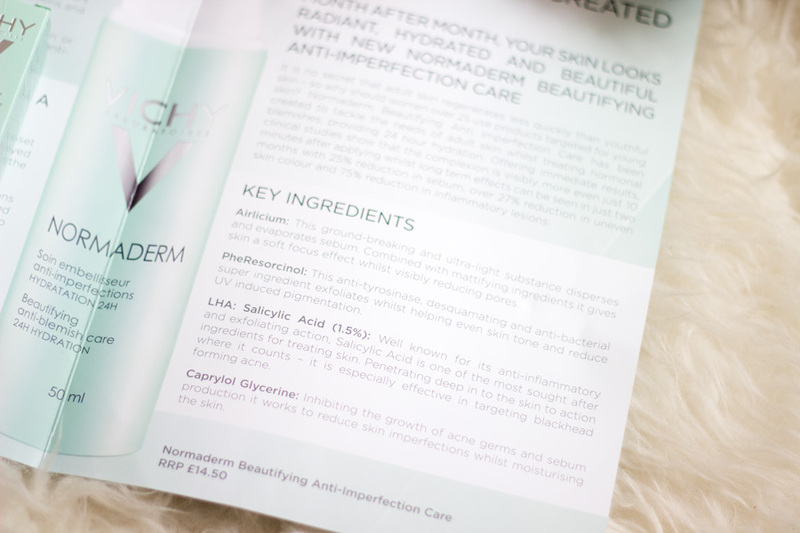 I am very impressed with its efficacy and it’s now been added into my acne skincare heroes (would you like a post on that?). 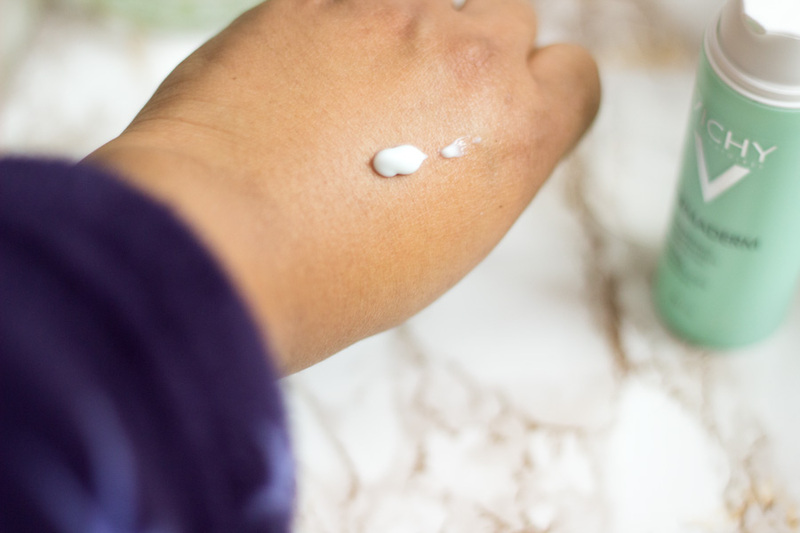 The spot resolved itself because I continued using the Normaderm Anti-Blemish Care. This actually made me think that it works well even on aggravated skin while preventing future breakouts. It retails for £14.50 but you all know what I would say; I just wait for 1/3 offers from Boots and Escentual to purchase. I think it is really affordable and the 50 ml would last a good while. The only thing with the pretty packaging is that you can't really tell when you are running low but I don't think that's too terrible. You can just guestimate based on the weight of the bottle. 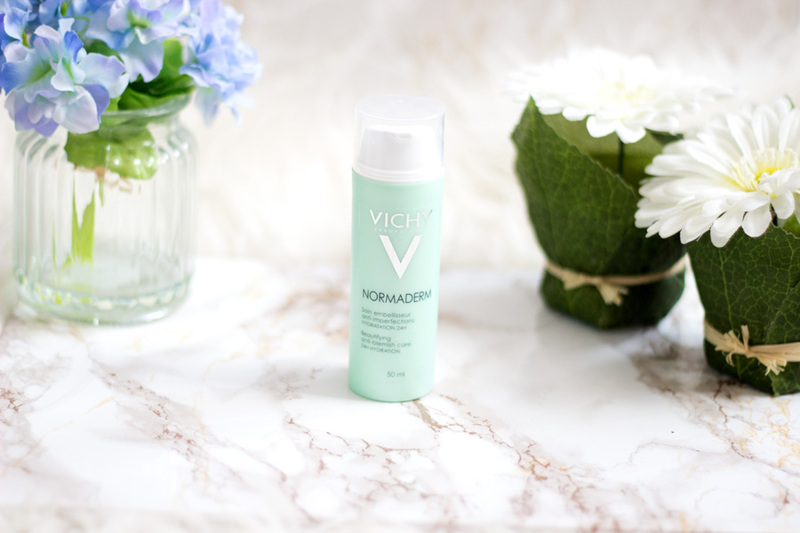 I am really pleased with the Normaderm Anti-Blemish Care and I am impressed with it living up to its claim. 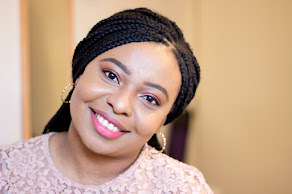 I do have to mention that its efficacy is heightened with consistent use so you have to incorporate it into your regular skincare to see good results. I would classify it more as a preventative treatment which I adore but I feel it would still work for any red/inflamed spots. I find it quite similar in the way it works as La Roche Posay Effaclar Duo but the main difference is the demi-matte finish it provides. If you want to see how well it works, I would recommend trying it at the beginning of your cycle and using it consistently through. I know combination-oily skin girls would love this formula as I don’t usually need a primer with it. Now, I need to test out how well it secures my foundation during the warmer season. 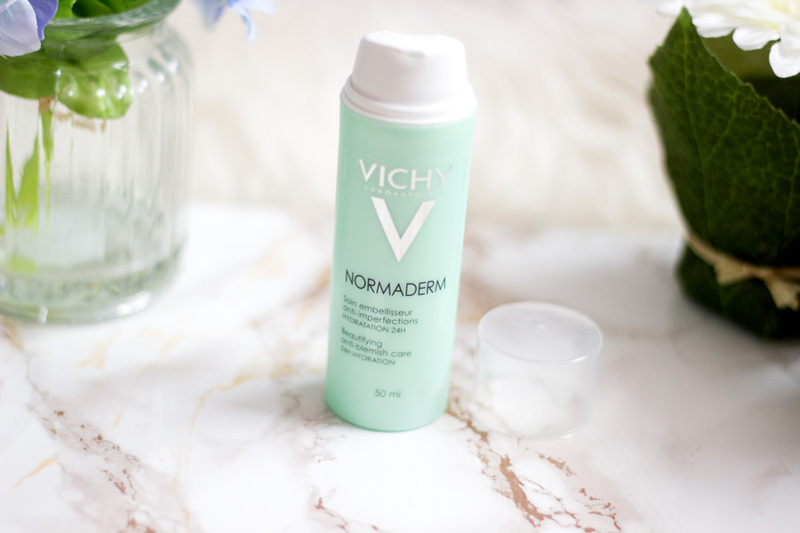 I would definitely recommend trying out the Normaderm Anti Blemish Care. That’s pretty much my update!! 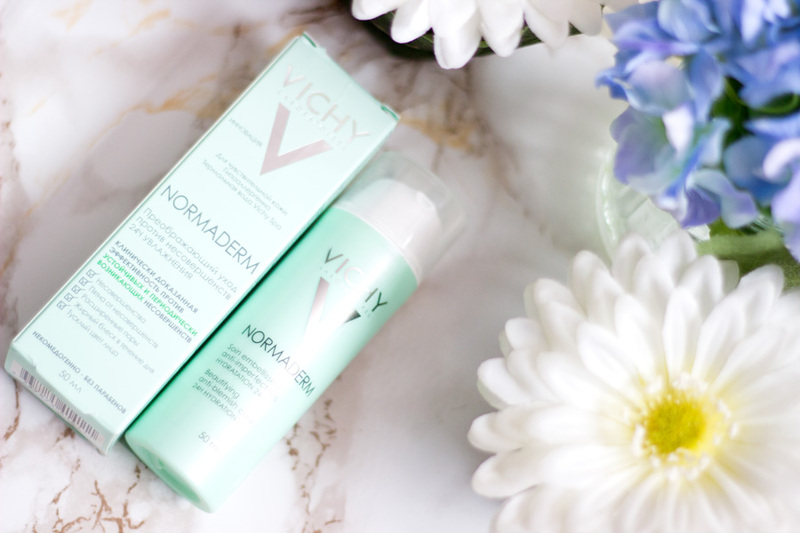 Have you tried the Vichy Normaderm Anti-Blemish Care?